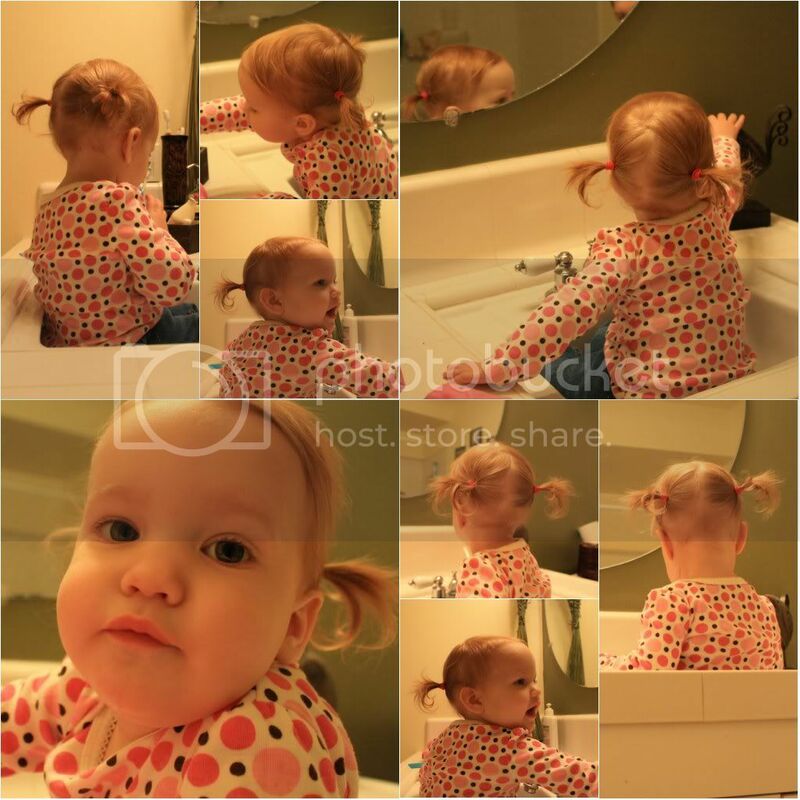 I had to sit her in the sink and say "pretty" every 2 seconds...but the goal of two cute pigtails was accomplished. Sadly they lasted a short 10 minutes before her chubby little hands pulled them out, accompanied by a smile. Fun! This is why I get scared to have girls. I don't think I can manage the cutesy hair! Terrifies me! She's adorable!